Historic Site at National Library of Wales01970 632801workHistoric SiteThe National Library of Wales (Welsh: Llyfrgell Genedlaethol Cymru), Aberystwyth, is the national legal deposit library of Wales and is one of the Welsh Government sponsored bodies. It is the biggest library in Wales, holding over 6.5 million books and periodicals, and the largest collections of archives, portraits, maps and photographic images in Wales. The National Library of Wales (Welsh: Llyfrgell Genedlaethol Cymru), Aberystwyth, is the national legal deposit library of Wales and is one of the Welsh Government sponsored bodies. It is the biggest library in Wales, holding over 6.5 million books and periodicals, and the largest collections of archives, portraits, maps and photographic images in Wales. 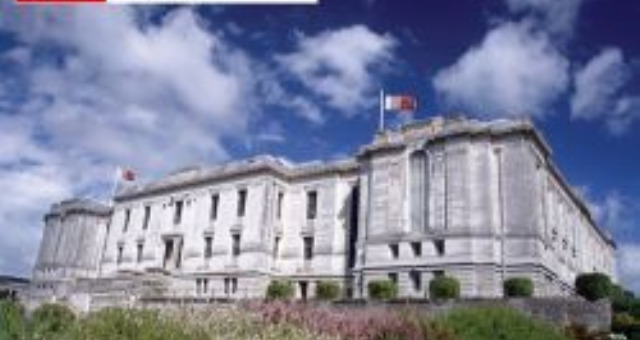 At the very core of the National Library of Wales is the mission to collect and preserve materials related to Wales and Welsh life and those which can be utilised by the people of Wales for study and research. Welsh is the Library's main medium of communication but it does, however, aim to deliver all public services in Welsh and English. In January 2015 the Library in partnership with Wikimedia UK appointed a full-time Wikipedian in Residence with the aim of developing further its resources on an open license, to a world-wide audience.